Like any good fan, I watched it as soon as possible, and while you won’t find any major spoilers in this review, I can tell you that it is, hands down, the best episode of the season. Of course, I’m a little biased. The episode features the third appearance of the Trickster, who is easily among my favorite Supernatural characters. Though he’s only appeared in two episodes, those two were the incredibly funny “Tall Tales” and the heartbreaking and gut-busting “Mystery Spot.” In fact, I named “Mystery Spot” the single greatest television episode of 2008. In many ways, “Changing Channels” is identical to “Mystery Spot.” Both episodes have a rather silly premise that provides tons of comedy, but both episodes also have a darker side. “Mystery Spot” was all about the Trickster trying to get Sam to accept Dean’s death because he was going to Hell. Similarly, this episode also has larger ramifications beyond the simple TV parodies. 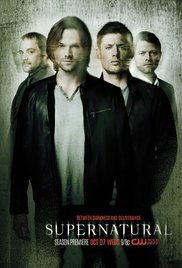 “Changing Channels” does everything that a great episode of Supernatural can do. It’s important to the overall series mythology while working as a stand-alone piece as well. And, most importantly, the serious parts are very dark and very dramatic, while the comedic moments are truly hilarious. There’s a new opening title sequence especially for this episode (you’ll want to record it to watch over and over again). The Grey’s Anatomy parody is absolutely spot-on, clearly an indication that the Supernatural writers have seen an episode or two. And while some of the parodies have already been glimpsed in preview clips, I promise you there are a few parodies you haven’t seen yet, and I wouldn’t dream of spoiling the giddy excitement you’ll experience when you realize what’s happening. You’ll laugh, you’ll cry (sometimes from laughing so hard) and your jaw will drop at some of the shocking revelations, particularly Dean’s answer to a question on a Japanese game show. I wrote an article complaining that all these light, comedic episodes were a distraction from the actual story of the season. 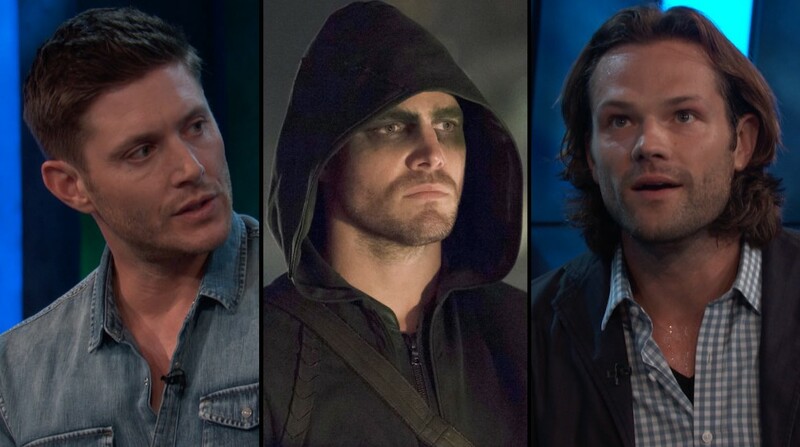 Next week’s Supernatural proves that an episode can be funny and pivotal at the same time.